The Scrum Product Owner (SPO) will need to understand a requested Products Features, define and prioritise work in the team backlog with focus on risk reduction and value delivery. The PO has a significant role in quality control. The role will work with other Scrum Product Owners to ensure interdependencies are identified and actively managed, whilst ensuring stories are validated and ensuring these meet acceptance criteria and has appropriate, persistent acceptance tests. In addition, the role will work with Technical Architects and Leads to assist with decision-making and sequencing of critical technological changes. With previous experience working within an Agile team environment, you will be able to interpret requirements from stakeholders and work with development teams to effectively describe work required to meet them. You will be a team player with good interpersonal and communication skills, coupled with a high attention to detail and exceptional technical knowledge. With demonstrable experience of translating complex issues and information into simple, key messages and actions, you will have previously built and maintained strong business relationships. In addition, the ability to interpret, analyse and present appropriate data across all organisational levels will be an essential criteria for this role. 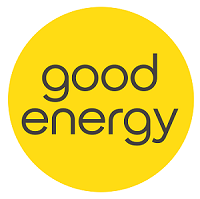 Welcome to Good Energy, one of the UK's leading renewable energy suppliers. Good Energy is to transform the UK energy market by helping homes and businesses to be part of a sustainable solution to climate change.